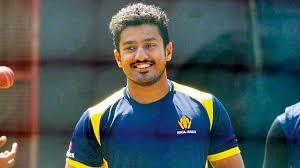 Karun Nair is an Indian cricketer who plays for Karnataka and India. 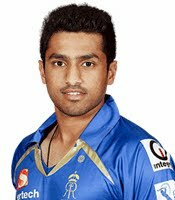 He is a right-handed batsman and occasional off break bowler. Having previously played for Royal Challengers Bangalore and Rajasthan Royals in the Indian Premier League, he was signed up by the Delhi Daredevils in 2016. He made his Test cricket debut in 2016 against England. He became the third player in international cricket history to convert his maiden century into a triple century, by scoring an unbeaten 303 against England in his second Test. Nair was born on 6 December 1991 in Jodhpur to Kaladharan and Prema Nair who hail from Chengannur in Alappuzha district, Kerala. His father Kaladharan, who is a mechanical engineer, was posted in Jodhpur at the time of his son's birth and later moved to Bangalore where he also worked on the sprinkler system at the M. Chinnaswamy Stadium. Nair's mother Prema is a teacher in a school in Koramangala, Bangalore. Nair has an elder sister, Shruti Nair, who lives in Canada. 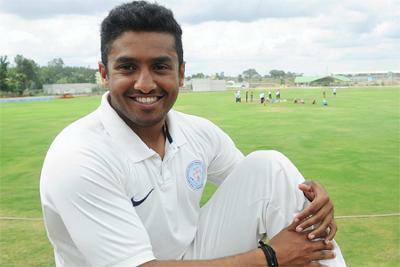 Nair made his first-class debut in the 2013–14 season in which Karnataka won the Ranji Trophy. He scored three consecutive centuries in their final league game and the first-two knockout matches. Karnataka won the title again in 2014–15, with Nair scoring 709 runs in their ten matches, including a knock of 328 in the final against Tamil Nadu to help Karnataka register an innings victory. He became only the second player from Karnataka to score a triple century and the first batsman to score a triple century in a Ranji final since 1946–47. Nair made his One Day International (ODI) debut against Zimbabwe at Harare Sports Club on 11 June 2016. 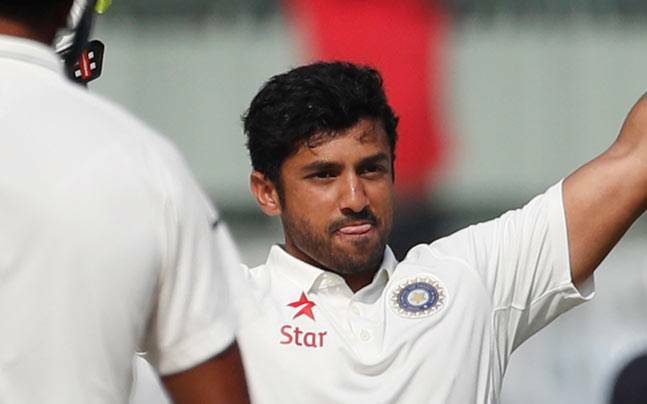 On 26 November 2016, he made his Test debut against England at Mohali. 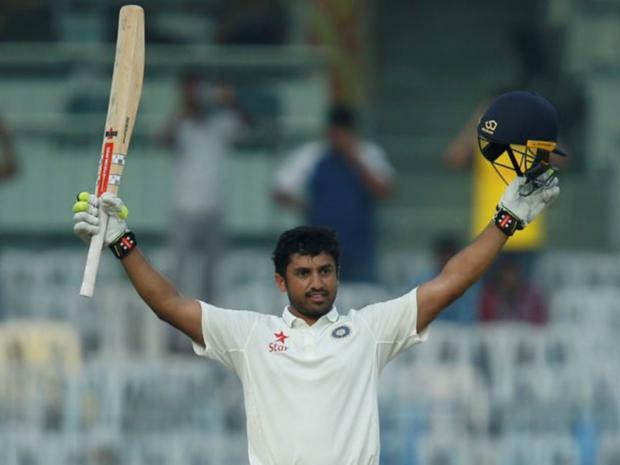 He scored his maiden Test century in the final match of the series at the M. A. Chidambaram Stadium, going on to finish 303 not out. He took three innings to hit the triple century, thus becoming the quickest batsman to a maiden triple-hundred in Test cricket history. 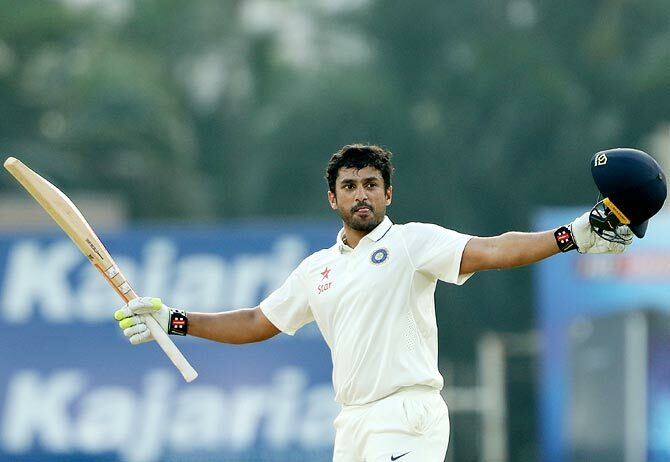 With this feat, Nair became only the second Indian batsman to hit a triple-hundred in Tests after Virender Sehwag and the third player – after Bob Simpson and Sir Garfield Sobers – to convert their maiden Test centuries into triple centuries.